Manufactured while adhering to IS 3854:1997 specifications, Switches by Standard Electricals are unbeatable in all aspects. The switches have been designed keeping in mind their frequent usage. The primary designing of terminals and contacts has been painstakingly done to ensure that the switches can withstand high overload conditions. The entire switch range is crafted using flame retardant, UV light stabilised and self-extinguishing polycarbonate plastic that can withstand the glow wire test at 850°C. While bringing in integral toughness, Standard has not compromised on their looks. 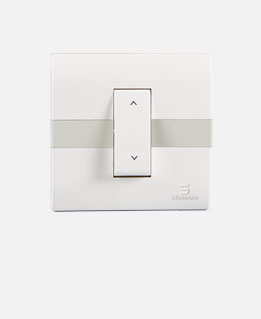 Our switches are elegantly designed to match your taste and interiors. 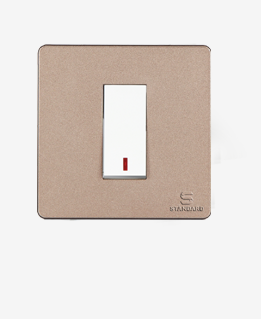 Standard switches are available in Ivy Modular Range and Irene Modular Range, check them out. A range of modular switches that project energy and make your surroundings come alive. Easy to use and durable, these switches from Standard Electricals are built to create an impact with their stunning and modern looks along with their long lasting performance. 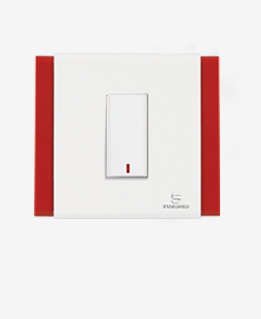 Augment your walls, be it your home, office or anywhere else with our switches and see the difference. One of the devices that usually go unnoticed, the switches installed in your homes can really make a difference in your lifestyle. Using all the electrical appliances with convenience is dependent on the kind of switches installed. With Standard, all you need to do is put these switches once and forget. The switches are available in different colors to enhance the interiors. With incredible features such as safety, reliability and longevity, you can never go wrong. Explore different products like cover plates in different colors and textures, support modules, socket modules, and switch modules etc. in our Ivy modular range and Irene modular range . With the best price and performance guarantee, add a dash of style to your interiors and experience an amalgamation of elegance, simplicity & sophistication.